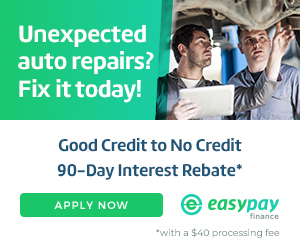 A-1 Custom Car Care ASE Certified mechanics have the knowledge and the technology to repair problems with your vehicle’s steering and suspension systems. We use the sturdiest steering parts, as well as high-quality suspension components such as shocks and struts to keep your car riding smoothly. When your vehicle is experiencing steering or suspension problems, there could be a lot of reasons why it is happening. Here are some of the parts that we will inspect when you bring your car or truck to us. This is a critical component of the power steering system. The pump provides hydraulic boost to the steering gear (the mechanism that actually pivots the front wheels) to reduce the driver’s turning effort at the wheel. When the steering pump needs to be replaced, it gets over-loaded and emits a high-pitched squeal. When you hear this sound, especially at low speeds, it’s time for us to take a look. Rack-and-pinion steering is quickly becoming the most common type of steering on cars, small trucks and SUVs. It is actually a pretty simple mechanism. A rack-and-pinion gearset is enclosed in a metal tube, with each end of the rack protruding from the tube. A rod, called a tie rod, connects to each end of the rack. The pinion gear is attached to the steering shaft. When you turn the steering wheel, the gear spins, moving the rack. 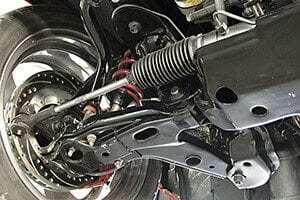 The tie rod at each end of the rack connects to the steering arm on the spindle. Shock absorbers reduce the effect of traveling over rough ground, leading to improved ride quality. Without shock absorbers, the vehicle would bounce, as energy is stored in the spring and then released to the vehicle, possibly exceeding the allowed range of suspension movement. An automotive suspension strut combines the primary function of a shock absorber with the ability to support sideways loads not along its axis of compression, somewhat similar to a sliding pillar suspension, thus eliminating the need for an upper suspension arm. This means that a strut must have a more rugged design, with mounting points near its middle for attachment of such loads. When your suspension system is failing, it can result in a very uncomfortable and even dangerous ride. If this happens, we can provide a free inspection of your shocks or struts and offer an estimate of the cost of repairs. Getting a front end alignment is critical in minimizing tire wear while maximizing performance of your vehicle. If you notice unusual tire wear or if your vehicle pulls either to the left or the right, the wheels may need to be realigned. The professionals at A-1 utilize front-end alignment equipment that is on the cutting edge of technology. They’ve also been highly-trained to work on all makes and models. Your vehicle may have both front- and rear-wheel alignment specifications. A-1 ASE Certified Mechanics can recommend the wheel alignment type that’s right for your vehicle.